We have winning raffle tickets that have not been claimed. Organised by the PPORA (The Point to Point Owners and Riders Association), this evening will be a fantastic insight on how to train young horses to jump. Although organised by the PPORA for point to point enthusiasts, it is open to all to attend and will be of interest to Event riders, showjumpers and anyone else who is willing to learn. 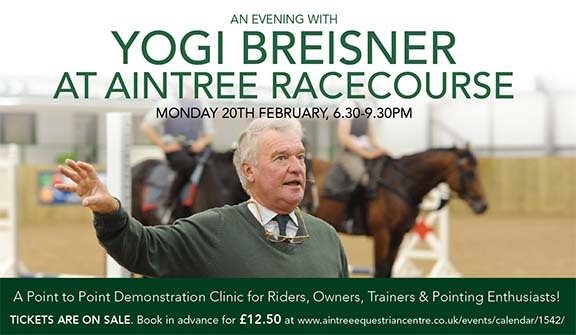 Yogi will reflect on his time in the British equestrian coaching hot seat and share anecdotes and insight from the last four Olympic cycles as well as help everyone inject the competitive edge into their riding. This evening promises to be entertaining and enlightening for everyone who loves horses, Point to Pointing and Racing, Eventing, competing and other equine disciplines. Well-known horse racing presenter and former jockey, Luke Harvey gets a surprise live on his own programme, Attheraces, and is announced as the winner of Dodson & Horrell’s December Owner Trainer Award. This new series of monthly awards sponsored by Europe’s leading equine fee manufacturer and nutrition expert, Dodson & Horrell, was launched to celebrate the company’s 30th Anniversary of sponsoring point-to-pointing. The awards are given to people who both own and train their horses, they are nominated and a winner is chosen from the shortlist. Luke who lives in Kingston Lisle, Wantage will receive ten bags of Dodson & Horrell feed, a bottle of champagne, and a yard visit from one of the company’s nutritional specialists who will give him expert advice on feeding for performance. “In a truly amateur sport we rely on strong reliable sponsors and Dodson & Horrell certainly comes under that banner, thank you once again,” added Luke. In order to win one of these monthly awards, the owner/trainer will need to be nominated by someone within their area – suggestions should be given to Point-to-Point Owners & Riders’ Association (PPORA) representatives or sent to the association’s office, where a short list will be drawn up. 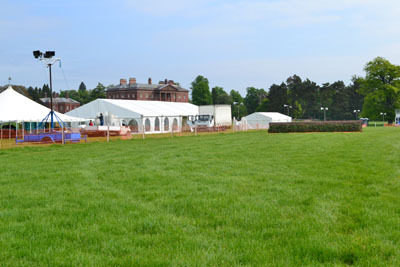 Best wishes to Tabley Races for a great day this Sunday! Brilliant reviews and photographs in the July editions of Cheshire Life and Northern Horse magazines! 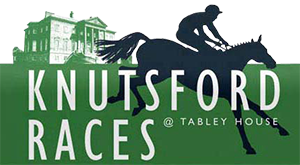 All Roads lead to Knutsford Races on Sunday 18 May. The course is in fantastic condition for Knutsford Races this Sunday 18 May with the going on Friday morning being Good, Good to Soft in places. 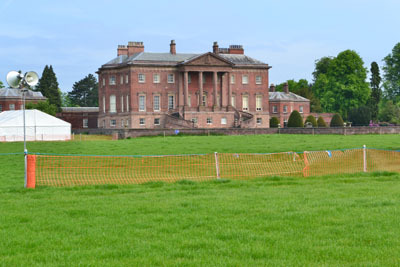 The gates open at 11am to allow race goers time to view and walk in the Tabley Estate park grounds, picnic by the lake,or take refreshments and food from the on-site caterers which include a bar offering traditional locally brewed ales and a hog roast. Young children have sideshows, roundabout and other interesting things to occupy their time. Bring your dogs but they must be kept on a lead and under control once the racing starts. The racing starts at 1.00pm with 3 Pony Races, the children of local racehorse trainer Donald McCain hold entries in 2 of these races. Donald himself owns a horse that is entered in one of the steeplechase races later in the day. The meeting offers the highest amount of prize money in the national Point to Point calendar. Steeplechase racing begins at 2.00pm with a 2.1/2 mile race. This shorter distance race is then followed by 6 more races over 3miles and 18 fences. 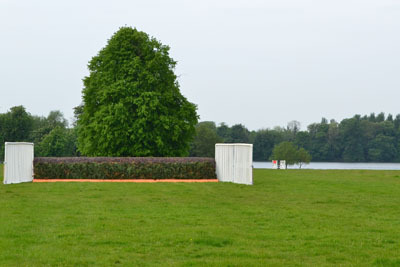 The Dodson & Horrell sponsored Novice Rider Final has brought together a high class entry from all parts of the country. Ed Turner who himself won the race in 2011 now trains two of the entrants on behalf of the Turner family. Paul Nicholls, the leading National Hunt Trainer, is the part owner of Current Event who will be ridden by his daughter Megan. Note the name of the winning rider of the Novice Rider Final as they often make a name for themselves as a jockey, Sam Twiston Davies was a past winner in 2009. The inaugural running of The Lord Daresbury Classic Race sponsored by Derek Malam has attracted 21 runners. Oliver Greenall the Trainer of Threapwood will be attempting to keep the silverware in the family, but faces strong competition from King Fontaine and Time Gentleman in particular. Time Gentleman is owned locally by Clerk of Course Robert Hankey and his wife Jo. However, the other 19 entrants will all have a realistic chance in what promises to be the race of the season. The last race starts at 5.35pm. The gates open from 11am. Entrance costs £10 per person (maximum £30 per car) with under 12 years going free in the Standard Car park. The Premier Car park is £45 per vehicle including all occupants. The Premier Park is in the best position being close to the race track and the other facilities including the Paddock, Trade Stands & Catering. The race card includes the Pointer form guide which gives brief notes on each runner and a rating guide which is a great aid for those race goers wanting to place a bet with the on course Bookies. THE DRAW WILL TAKE PLACE AFTER THE FIFTH RACE PRIZES TO BE COLLECTED FROM THE SECRETARY’S TENT BY 6.30 PM. 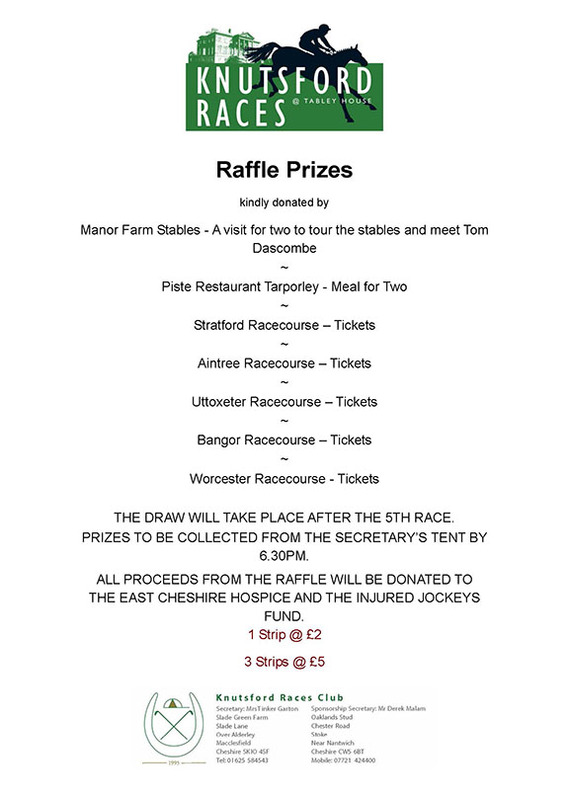 Proceeds from the raffle to be donated to the N.W.Air Ambulance and DEBRA.